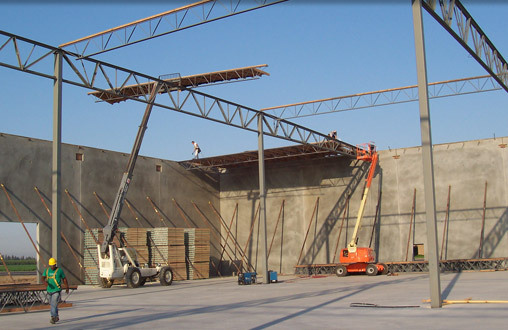 Located in Fresno, CA, Diversified Development Group, Inc. (DDG) has been developing some of the highest quality industrial developments in California's Central Valley for the past 30 years. The DDG project design team has over 80 years of development experience. DDG’s project design team works in unison to purchase and entitle land, design sites and buildings and actively oversee the day to day operations during construction of projects. DDG takes great pride in its ability to produce high quality, functional projects at a competitive price, in the fastest time possible. During its 30 year history, DDG has forged some extremely strong relationships with the Central Valley’s best contractors. Long term thinking, long term ownership, and long term relationships are some of the fundamentals behind DDG. The long term relationships DDG has formed with local contractors, consultants, design experts, and governmental entities allow DDG to deliver the highest quality projects (whether a million square foot development, a standard Tenant Improvement, or an entitlement issue) in the fastest time possible. The DDG Design Team is accustom to delivering a state-of-the-art, build-to-suit distribution center within 120 days, and a standard office tenant improvement within an existing shell building in 6 weeks or less. Whether working to complete your next distribution center as a build-to-suit, improving an existing shell building specifically to meet your requirements, or acting as a project manager during the course of your facility start up, the DDG Design Team is anxious and ready to work for you.